New Denise Betesh jewelry is available to shop online. Because she is fairly new to our store, we have been slowly adding new pieces from the local Santa Fe designer. The new collection includes handcrafted necklaces, earrings, a ring, and a pendant. As usual, her pieces are expertly crafted with 22K gold and precious and semi-precious gemstones. 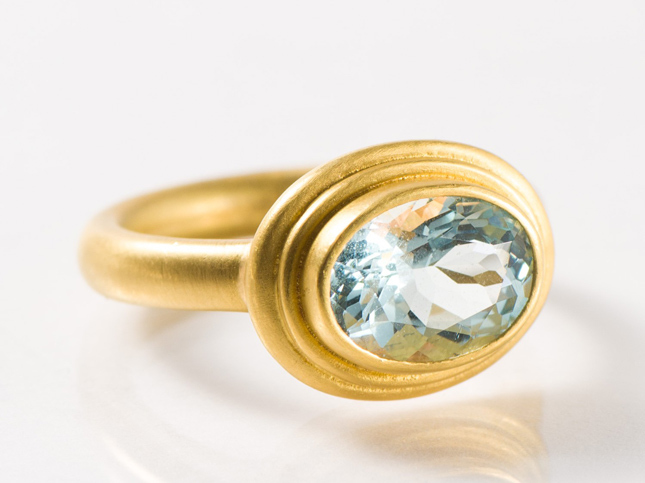 Denise uses 22K recycled gold, conflict-free diamonds, and ethically sourced gems. From imperial topaz to chinese aquamarine, her colors likely conjure imagery of the dreamy hues seen throughout the high desert landscape. As a result, the jewelry is truly enchanting. The matte finish, which is created from the process called “granulation,” is now a signature of Denise’s work. However, it was refined by the Etruscans, and has been used for thousands of years. In conclusion, Denise crafts jewelry that uses the best of ancient and modern techniques.